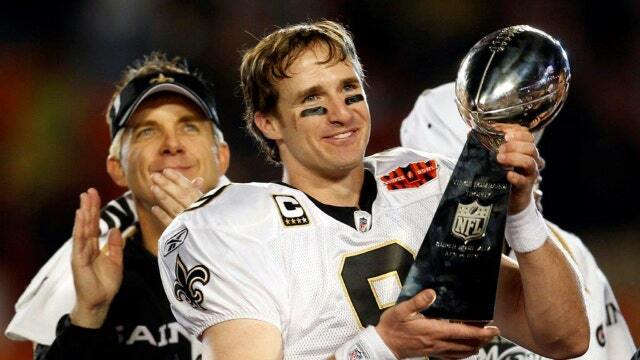 New Orleans Saints quarterback Drew Brees is now the all-time passing leader in NFL history, surpassing Peyton Manning’s record of 71,940 passing yards during Monday Night’s game again the Washington Redskins. While Brees clinched the title with a 62-yard touchdown pass to Tre’Quan Smith during the second quarter, the 39-year-old is also one TD pass short of joining the exclusive 500-touchdown club, which currently has only three members: Peyton Manning, Brett Favre and Tom Brady. But while Brees is making history on the football field, he is also making big moves in the business world as a serial franchisee. He is heavily invested in big restaurant franchises, including Jimmy John’s, Walk-On’s Bistreaux & Bar, Happy’s Irish Pub and Dunkin’, the new name for the chain formerly known as Dunkin’ Donuts. In 2017, Brees announced his plans to develop up to 69 new Dunkin’ locations throughout Louisiana. He already has more than eight Jimmy John’s locations in New Orleans and employs over 250 people. In 2016, Brees branched out from restaurant chains and into the fitness arena when he signed as the new co-owner of boxing franchise Title Boxing Club. “To be part of a brand like Title Boxing, makes me really feel like it’s not only making a difference for people that end up becoming franchisees but also the members themselves, who see the transformations that they go through both physically, mentally and emotionally and that’s the most rewarding part of it,” Brees said. John Rotche, CEO of Title Boxing Club, said he met Brees at the University of Michigan’s School of Business while speaking to a group of NFL athletes who were looking to transition from the game at some point and diversify their revenue stream. And, he was immediately impressed by Brees’ business chops. “Drew was sitting in the front row taking notes, more than anymore else in the class,” Rotche said.